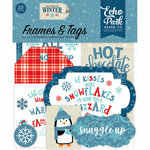 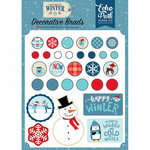 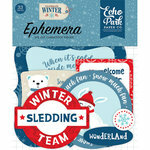 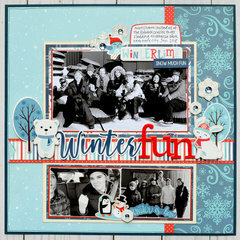 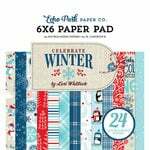 You'll love accenting your winter adventures with the Celebrate Winter Collection Accents by Echo Park! 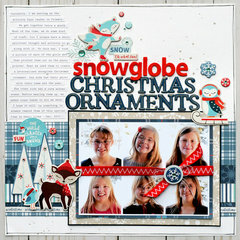 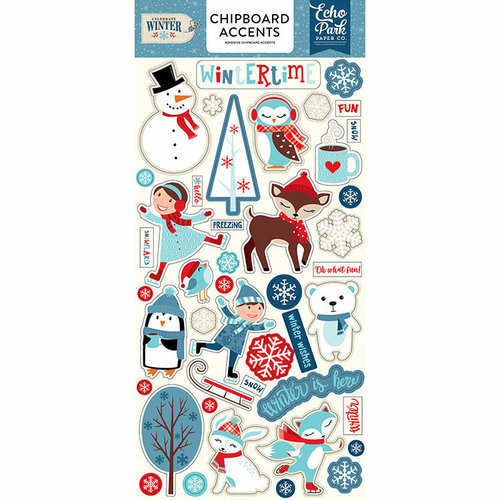 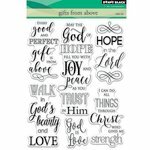 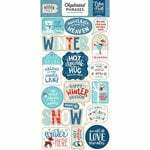 The package includes one 6" x 13" sheet of chipboard stickers that feature animals, snowflakes and more. 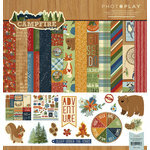 The sticker are made in the USA and designed by Lori Whitlock.